From the first notes of Larry Young's blues Backup, every tried and true Blue Note fan won't need to worry anymore: the music of Vito Di Modugno's means home, means familiar turf. But it has to be clear that this homely feeling is by any means neither banal nor shallow. 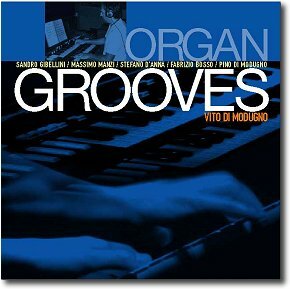 This CD stands easily above most of the huge Italian jazz output of recent years, particularly because all its details have been carefully planned, from the well worked-out organization of the whole session to the striking and vivid sounds so brilliantly captured by the great job of the recording engineer. This is high-quality music which rightly deserves a high-class sound. First comes the choice of tunes, a wise selection of standards tightly linked to famous interpretations of the past (Bernie's Tune, Bye Bye Blackbird, Don't Get Around Much Anymore), well blended with original compositions of a very high calibre, all of them courtesy of Vito Di Modugno himself, and with some rarely performed staples from the Blue Note catalogue of yore. This last feature can easily be seen as the record's mastery stroke. 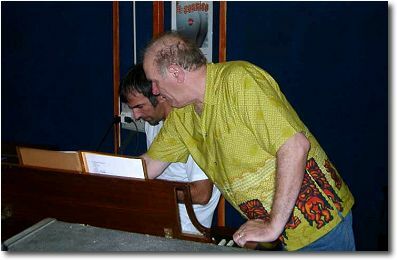 Vito Di Modugno‘s tunes show him as a relevant jazz composer: Nick Waltz, for instance, sports a lovely and well shaped melody, clearly worth of further explorations and deserving a place inside the standard repertory. These are not "originals" in the lacklustre sense of the word, merely functional tunes ready to be thrown away to make room for the improvised solos. Not so: in accordance with the general climate of the record, Di Modugno takes a special pride in his compositions, carefully polishing their finer points. Likewise, the felicitous selection of the Blue Note tunes (Larry Young's Backup, Duke Pearson's ESP, Joe Henderson's Out of the Night and Thelonious Monk's I Mean You) plays the leading role in the success of the recording session. This is only a handful of the great tunes that are still waiting to be rediscovered in the back catalogue of Alfred Lion's glorious brainchild: Out of the Night, the blues with altered chords that ends the twenty-six years' old Joe Henderson's first recording as leader (Page One, 1963) provides an exhaustive example of all this. The same goes for Backup, a track from a great (but underrated) record such as Into Somethin' (1964), one of the sharpest concoctions of the great (but underrated) Larry Young, assisted by Sam Rivers, Grant Green and Elvin Jones: a true all-star band, if any. And what about Duke Pearson's ESP? A memorable track from a memorable record such as Wahoo (1964), one of the most striking examples of progressive arranging for a hard-bop sextet (with no small thanks to Donald Byrd and Joe Henderson). Just a moment, please. Joe Henderson's name has already popped up a couple of times here, and will come out again. It is not by sheer chance. As the years go by, listeners and musicians join each other in acknowledging his influence, his innovative strength. Henderson's stature is so remarkable that a critical reassessment of the saxophone pantheon of the last decades is long overdue. Anyhow, while the critics sleep, the jazz audience knows better. Back to our notes, then. 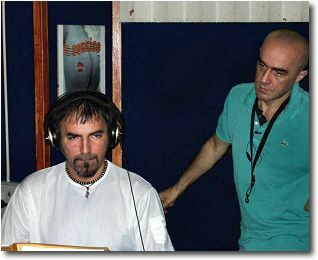 And hats off to the producer, Mr Sergio Veschi, who has played a not so small part in picking up the musicians for the date and, still more important, in selecting the right front line combination for each tune. To an unchangeable organ-drums backbone, every track has a different line-up: trios with guitar or accordion, quartets with trumpet and tenor sax or guitar and tenor sax, quintets with trumpet, guitar AND tenor sax. Every single permutation was explored, and the whole recording session has greatly benefited from that. 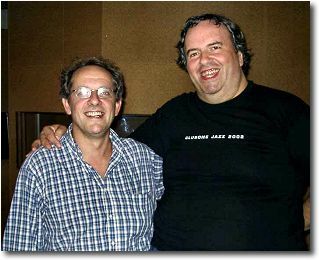 But no strategic planning can be successful in jazz without a first-rate congregation of performers, such as the ones responsible of the happy results of Organ Grooves. About Fabrizio Bosso, there's not much more left to say: after his incredible debut of few years ago, once again aptly supported by Red Record, the young trumpet player has brilliantly succeeded in avoiding the typical "enfant prodige" trap. The road Fabrizio chose for himself was bumpier, of course, but far more rewarding, as an instrumentalist and as a creative artist. We ‘ve always had a soft spot for Stefano D'Anna's sound. Here's a player who would deserve a greater attention by everyone involved in jazz, at every level: listeners, critics and producers alike. Stefano is a fastidious improviser, one who has set high standards for himself and who has absorbed many different saxophone voices of the past, at the same time never losing his own individuality. And just like Stefano, Sandro Gibellini too should set himself free from what can only look like a natural case of bashfulness. He is a great guitar player, and should be appreciated as such. It would be too easy to see this record as a confirmation of his qualities. 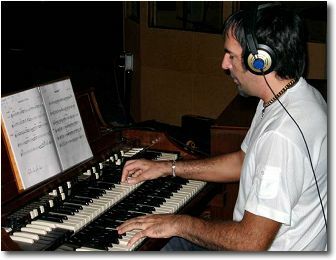 Massimo Manzi is both the engine of Organ Grooves and its soul. His performance is an essential part of the success of the record, what with him being an unstoppable drummer well supplied with a never ending assortment of rhythmic solutions ready to be picked up by the featured soloist. In any collective sport, Massimo's assists would be an invaluable asset to any and every team. And, as the old saying goes, Jazz Is Where You Find It. Fact is, whenever you're looking for it, pleasant surprises are waiting for you just around the corner.